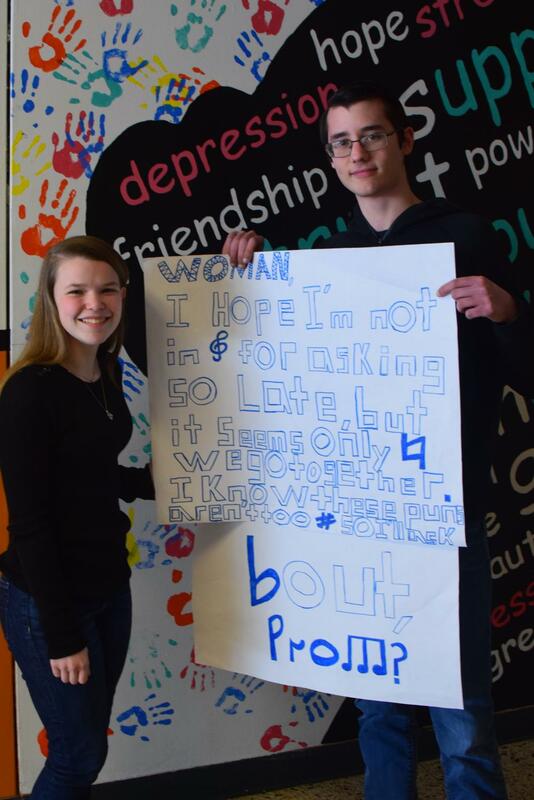 Jack and Emily with their promposal outside of the cafeteria. 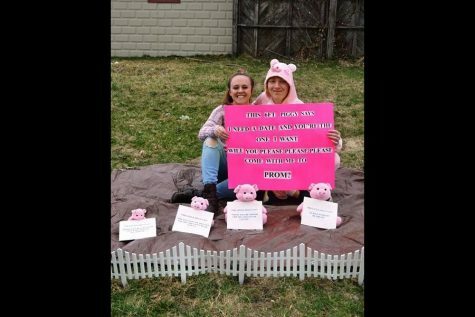 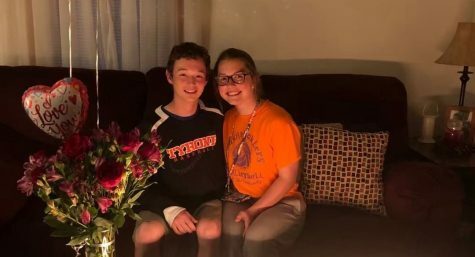 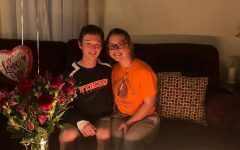 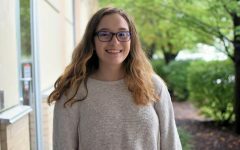 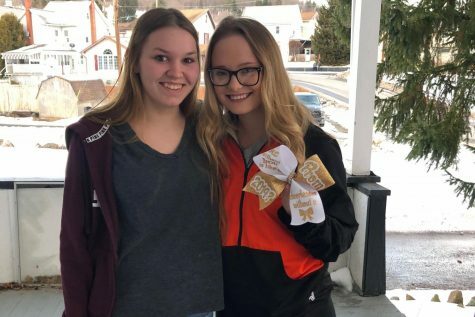 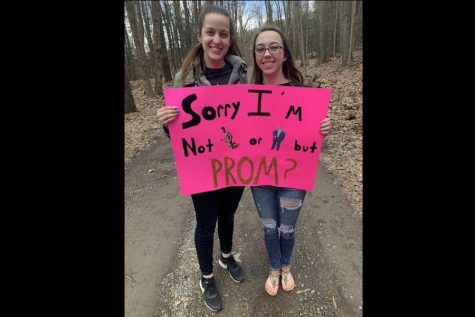 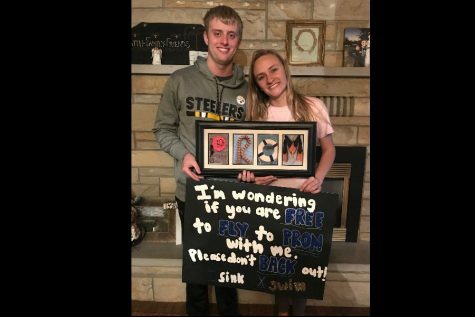 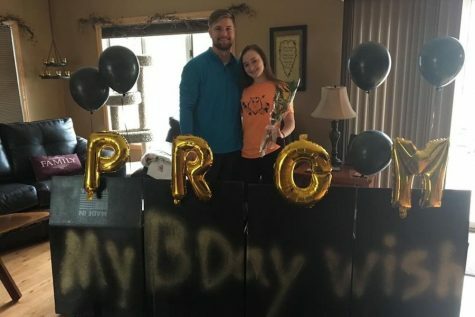 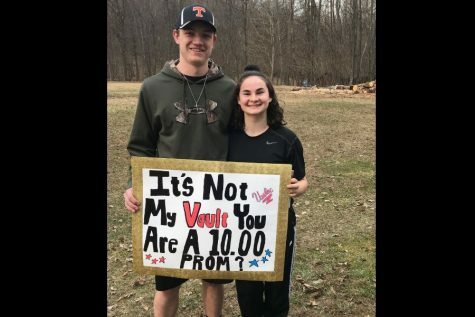 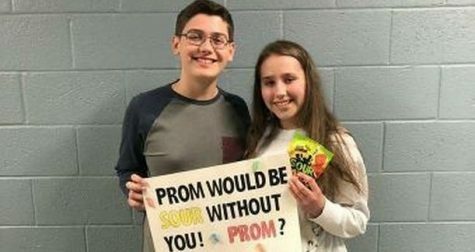 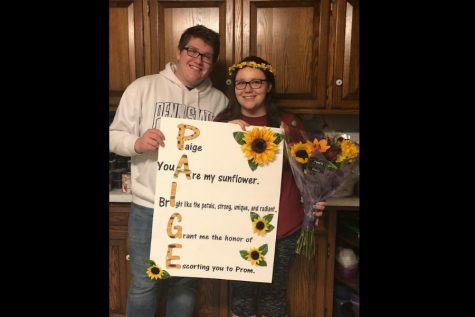 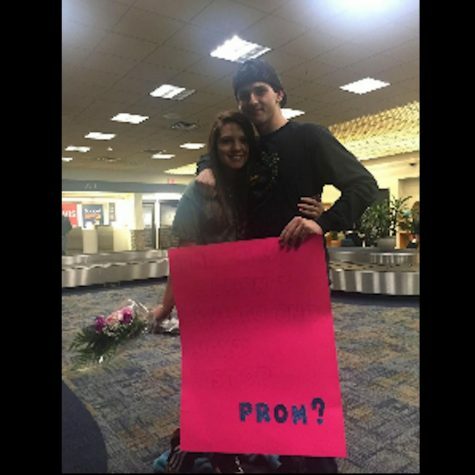 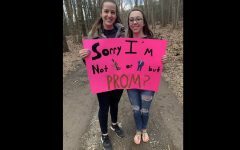 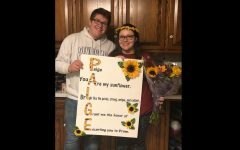 Senior Jack Lehner wanted to make his friend junior Emily Detwiler happy after a tough situation, and the best way to do so was ask her to prom. 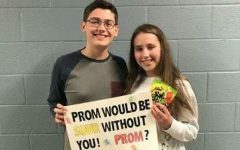 Since he only has lunch with her, Jack decided to ask her during lunch.